We manufacture a vast range of Fire Extinguishers Discontinued FE using premium grade raw material sourced from our reliable vendors. The products are widely used in chemical industry, high rise buildings, commercial complexes etc. 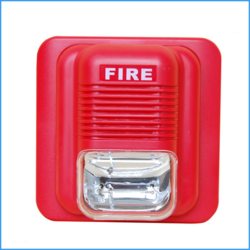 Fully complies with UL -864 9 Edition and NFPA-72. Any Zone can be configured as Alarm or supervisory Zone. All field wiring circuits are supervised. Zone Isolation facility with loop voltage cut off. 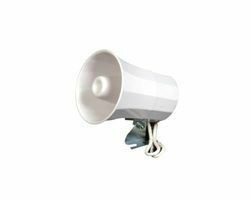 Primary Power : 220VAC ± 10%, 50 Hz, 2.5Amps. 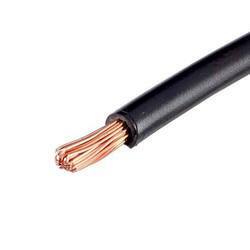 Operating Condition : 15 - 35° C/60-95° F; 93 ± 2% RH. Charging Circuit : 28.4V, ±0.2V; 750mA (Max). Normal Operating Voltage : 14 - 21 VDC. Alarm Current : 15 - 30mA. Short Circuit Current : 40mA Maximum. Loop resistance : 100 ohms Maximum. Resettable D.C. Output : 24 VDC, 300mA Maximum. 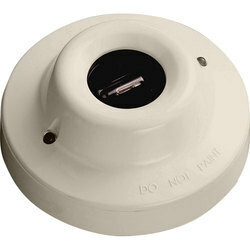 Common Form C Relays : 2Amps@30VDC & 30VAC for Fire, fault, supervisory. Micro controller based/conventional type panel. LCD (16 x 2) display / LED display. Compatible with 485 communication (Micro controller based). Zone wise fire & fault indication. Reset, alarm cancel, fault isolate facility. 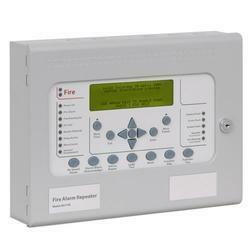 Associate with any make main fire alarm panel. 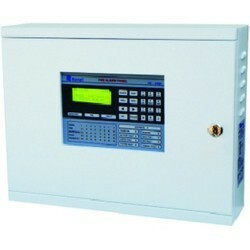 Used for signal repeater for fire panel. Extra Hi-intensive sound (upto 120db). Available in three different tones. These types of strainers are named after their shape and normally used for course filtration. But with large filtration area can be used with fine mesh also. 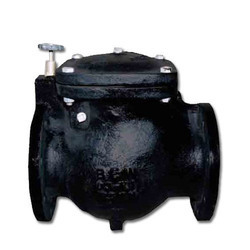 Body of Y strainer is normally of cast iron or cast steel in various grades with flanged and socket weld type end connection. Fabricated “Y” strainers are also available. 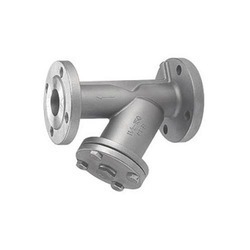 Bolted cover “Y” Type strainer has low pressure drop due to higher flow area through screen. “Y” Strainer used for the removal of foreign bodies in pipe line and use line trouble free service and freedom costly repairs or replacement for large area straining perforated screen lined with wire mesh can be used. The strainer improves the clearance in the medium, and prolongs the life of valves; protect expensive pumps, meters and other equipments. It is suitable for water, Air, Gas, petroleum, steam and other fluids. Advanced dynamic flow path and large filtration area elements ensure low pressure drops and reduced maintenance periods. “Y” Strainer has the advantage of being able to be installed in either a horizontal or vertical position. However, in both cases, the screening element must be on the downside of the strainer body so that entrapped solids particles can be properly collected. A blow down plug on the drain port will allow clean-out without removal of the screen, and without interrupting the process flow, providing on request. Low Pressure drop across the filter. Protect expensive Pumps. Meters Heat Exchangers, Valve, Spray Nozzle, Regulators etc. 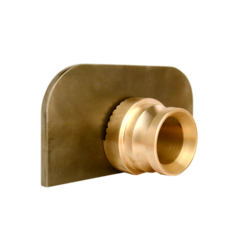 Leaded Tin Bronze (Gunmetal), S.S. Type of Connection (Inlet) : Instantaneous (Male)(Also available in Stroze, Nunan,Threaded). Hydrostatic Pressure for Body : 21 kgf/cm2. Finish Body : Buff Polished / Painted. Cabling and Double Earthing within Pump House for Fire Pumps from Control Panel to drives and instrumentation.